There are some misconceptions about online consumers that marketers must push aside to engage more effectively with them, says today’s infographic, based on a recent study by Sociomantic Labs. For example, online shopping isn’t a leisurely, recreational pursuit for most consumers. 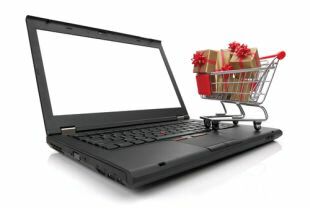 Nearly half go to a specific site with a specific product in mind and purchase it, says the study. And far from being put off by personalized ads, the majority of consumers are comfortable receiving them on PCs, mobile devices, and social sites—and they’re much more likely to act on them, too. The key takeaway is that online consumers have come to expect, appreciate and respond to personalized ads. That point was made loud and clear in our study “Smart Mobile: How Mobility Influences Category Shopping,” in which 49% of mobile shoppers said they preferred personalized ads. For more perspectives, see “For Online Travel Shoppers, Personalized Ads are the Only Way to Fly” and “Introducing New Opportunities With Yahoo! Stream Ads,” our new native ad format that matches the content of pages being viewed by online users. Así que estamos muy contentos de anunciar una nueva forma de ayudar a nuestros clientes a tener éxito mediante la colaboración con Facebook para participar en FBX (…) DoubleClick Bid Manager (anteriormente llamada Invite Media) ha estado ayudando a las agencias y anunciantes comprar espacio publicitario en sitios a través de la web desde hace años. Ayudamos a los clientes acceder a docenas de intercambios privados y públicos en más de 75 países, y seguimos viendo un crecimiento de trimestre a trimestre de dos dígitos en el gasto. Brand marketer mobile budgets surged 142 percent between 2011 and 2013, according to IAB analysis of figures released in this new IAB study, produced by Ovum, which updates the landmark “Marketer Perceptions of Mobile Advertising” survey of 2011. This finding supports the prior study’s prediction that brand marketers’ mobile advertising budgets were on the uptick. In addition, the survey showed that the number of marketers who maintained annual mobile budgets exceeding $300,000 more than quadrupled, rising from merely 7 percent in 2011 to 32 percent this year. This is the second survey based study that Ovum has produced for the IAB’s Mobile Marketing Center of Excellence, building on the first, ground breaking survey conducted in 2011. Both surveys were conducted among marketers at 300 US companies active in mobile advertising. This 2013 iteration uses a fresh sample, provides a B2B and B2C perspective and introduces new questions, reflecting changes that have taken place in mobile advertising over the last two years. The findings presented in this study provide a unique insight into mobile advertising from a buyer perspective, and the results are once again both positive and challenging. According to comScore, 210 million unique visitors see ads served by the Google Display Network each month in the US alone. Even given those big numbers, though, marketers know that sheer volume isn’t where successful ads start. The real magic lies in the connection one ad makes with one consumer at a moment that counts. That’s why the place where the brand meets the consumer is so important. When a publisher has a close relationship with users, it’s like the ad is being introduced by a trusted friend. Programmatic buying and selling of advertising, real-time bidding, and marketing automation is changing the way we transact digital media. Though numbers are very sketchy, by some accounts over 20% of all digital advertising is sold “programmatically” – and it’s growing rapidly. There is significant confusion in the marketplace around the meaning of terms like “programmatic”, “RTB”, “programmatic direct”, “programmatic premium”, and other verbiage, often being used interchangeably. New technologies are emerging which are creating significant value, but there is also a lack of clear technical standards to ensure interoperability across different platforms. Buyers and sellers are concerned with the limited transparency and number of vendors involved in the programmatic transaction. And programmatic raises internal, organizational challenges for brands and agencies, and particularly for publishers with their existing direct sales teams and incentives. Agencies and their clients have a lot to lose if programmatic isn’t implemented coherently: a set of technologies that aim to create market efficiencies could, instead, create a fragmented, illiquid marketplace if each media agency insists on creating its own proprietary marketplace with its own standards and its own technologies.